When it comes to developing mobile apps, we have unprecedented insights into our users, their behaviors, and their expectations. That said, it’s all too easy to focus on that data instead of what our users really need — and oftentimes, there’s no way to quantify the metrics that really matter, like user happiness. There’s more to user happiness than giving users what they want, when they want it. As with so much of UX as a discipline, there’s a great deal of nuance that goes into crafting engaging experiences that genuinely delight our users, which is why user happiness is arguably the most important “metric” we need to consider as we design our products. In this post, we’ll be covering four ways you can make your users happy. 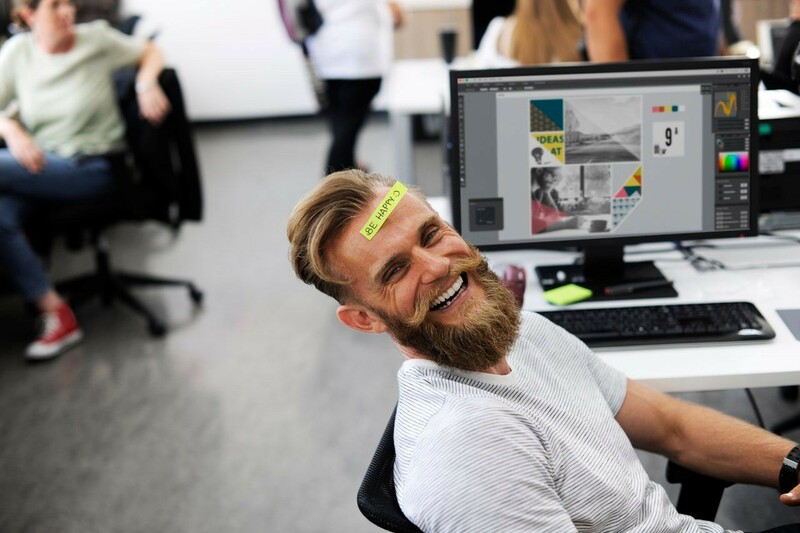 By the time you’re done reading, you’ll have several actionable strategies you can apply to your own mobile apps to not only attract and engage your users but also bring a smile to their face and turn them from users into loyal brand evangelists. It doesn’t matter how useful or entertaining your mobile app is if you fail to hook your users early. That’s why UX onboarding is absolutely crucial to user happiness and one of the single most important factors in the success or failure of a mobile software product. One of the main reasons why UX onboarding is critical to the long-term survival of a mobile app is because, by the time a user has downloaded an app, they already have crystal-clear expectations of what that app should do and what it should help them accomplish. Any deviance in these expectations can do irreparable damage to how users perceive your app, even if it really does do what they expect it to do. This means you can’t afford any bugs, glitches, crashes, permissions issues, or anything else that will distract or irritate your users during the onboarding process — at all. Action cohorts are visualizations of your users and the actions they take when using an application. These visualizations allow us to analyze the relationships between an event in an app and the actions taken by the user during those events. 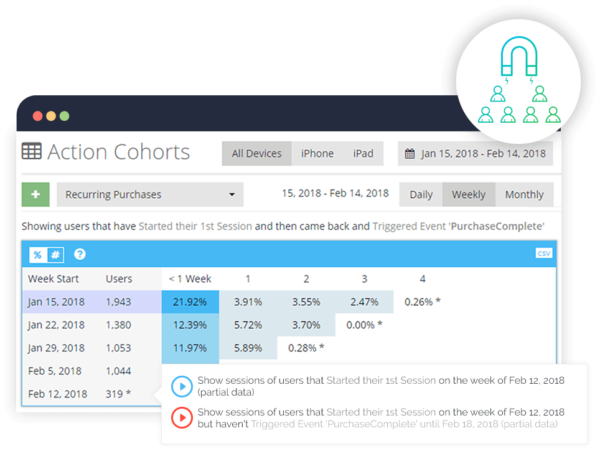 For example, we can use action cohorts to visualize how many users made an in-app purchase within a certain period of time after downloading the app. Similarly, we can use action cohorts to see what users aren’t doing — providing UX practitioners with an invaluable glimpse of the points at which we lose users. This is much more useful to us than merely looking at acquisition and retention data. Desktop sites have one key advantage over their mobile app counterparts — there’s only one way to click a button on a website. Mobile apps, on the other hand, have to rely on physical gestures. It’s easy to assume that our users will understand the gestures required to interact with our mobile applications, but it’s just as important to ensure that our apps understand our users’ gestures. Why? Because if we don’t, we run a higher risk of misinterpreting users’ failure to complete an action as a technical problem, when it may be a problem of conflicting expectations. Say your mobile app requires users to log in before they can start actually using your application. Now let’s say that, upon examination of your user data, it appears that many users are failing to complete the login action. This could be the result of a technical problem like an authentication conflict — but it could also be the result of those users trying to swipe past the login screen. This isn’t a technical failure or an indication of a user problem but rather a case of conflicting expectations. The system expects the user to log in, and the user expects to be able to swipe past the login screen. 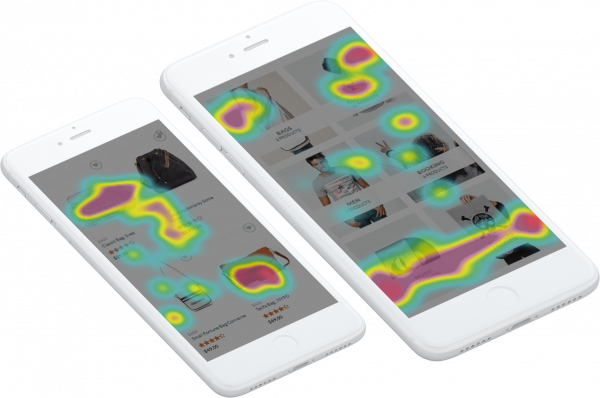 Just as visual heatmaps provide invaluable insight into the parts of a screen our eyes are drawn toward, touch heatmaps are an excellent way of seeing where — and how — your users are tapping and swiping. This kind of qualitative analytics data can be immensely useful to UX practitioners as it removes the guesswork and assumptions when determining potential bottlenecks in our UX flows. Touch heatmaps also help us eliminate one of the most frustrating aspects of any user experience — unresponsive gestures. Few things will frustrate your users faster than forcing them to try and guess which gesture is required to complete an action. This frustration often leads to furious, indiscriminate tapping, which is usually followed by the user exiting and uninstalling the app. The more we know about what gestures our users expect to use and when, the better we can craft our UX to reflect those expectations and keep our users engaged and happy. Aside from how much real estate we have to play with, one of the biggest differences between desktop and mobile applications is how users’ eyes move when navigating and interacting with mobile apps. Desktop users’ eyes often rove around the screen in search of information. Conversely, mobile users’ eyes tend to move in one direction. 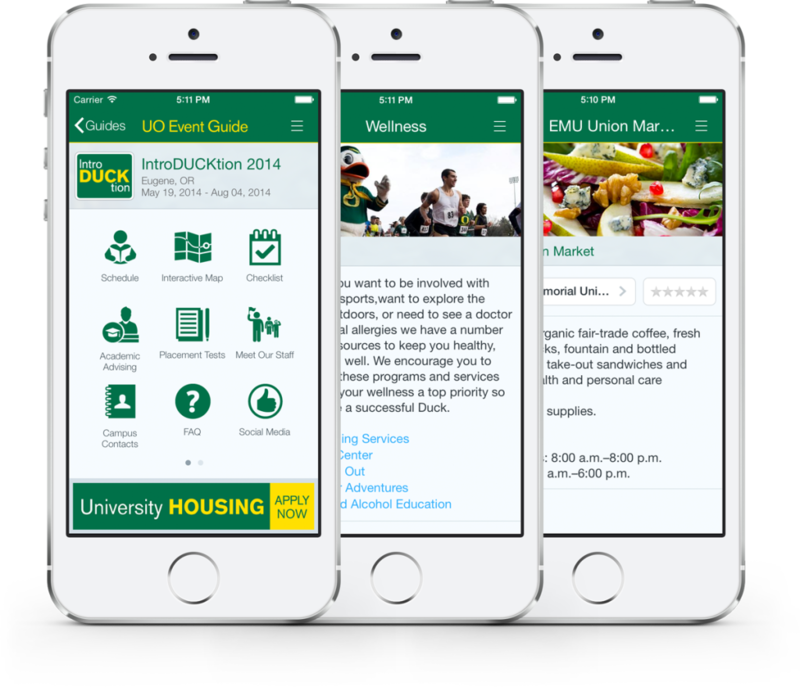 In addition, the limited space on mobile screens means that almost all the information users need must be either visible or accessible at all times. Since we have no choice but to work within the constraints of mobile technology, we have to be ruthless about what to include and what to cut. This applies to the copy itself — which should be as short and punchy as possible — as well as the navigational elements of your product. This means no unnecessary scrolling, pinching, swiping, or anything else that interferes with the user experience. So how do we create “mobile first” content? Aside from keeping UX copy as short and sweet as we can, A/B testing your app’s copy is practically mandatory. Just as we only have a limited time to gain our users’ attention, we have just one chance to make a positive impression, which makes split-testing your app’s copy even more important. Personalizing the experience of using a mobile app isn’t just about creating the impression that your app was made just for that individual user; it’s about preemptively anticipating users’ needs and responding to those needs in ways that feel genuinely unique. This could include everything from seemingly trivial details such as adjusting the phrasing of welcome messages depending on the time of day to customizing search results based on previous searches and other user data. Although personalization might seem like a luxury or an indulgence, it can actually have a significant impact on user happiness. The more time and effort you can save your users by personalizing their experience using your product, the happier they’re likely to be. 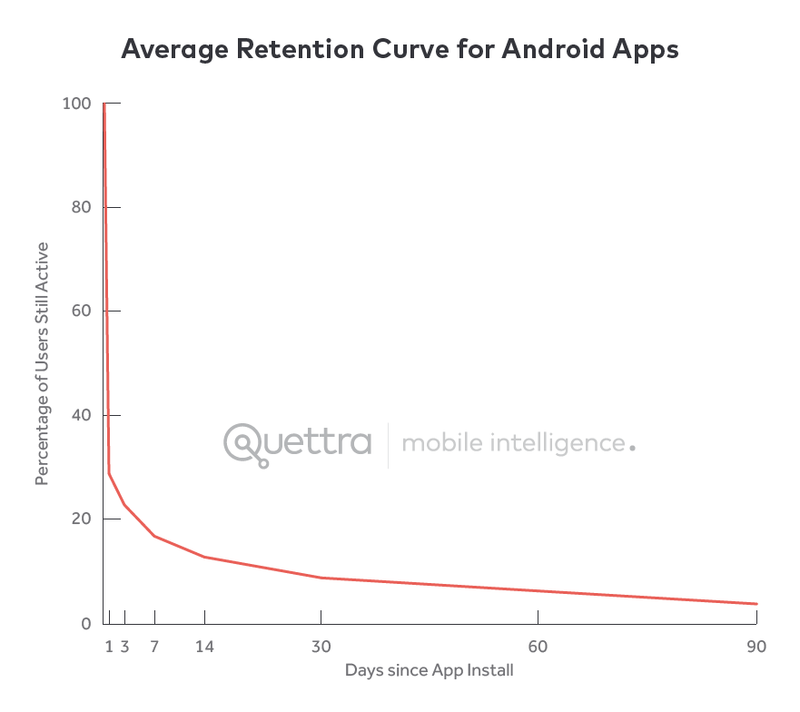 This means more engaged users and stronger retention. 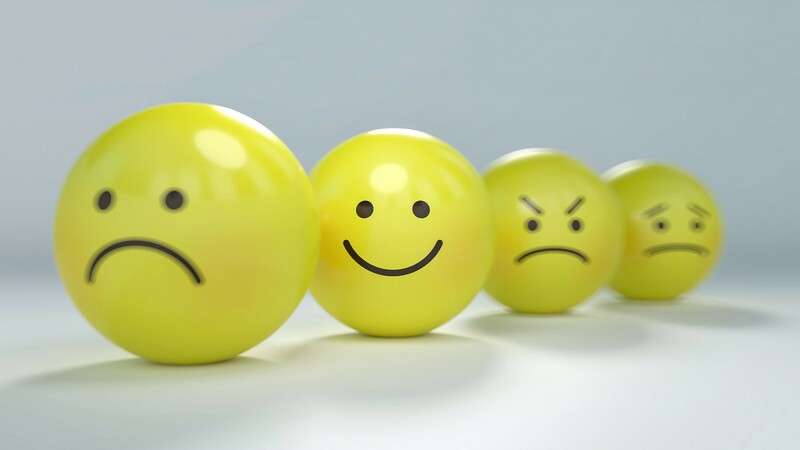 Regardless of which elements of your product experience you personalize, it’s important to regularly evaluate which of those features are most strongly resonating with your audience. One particularly effective way to do this is to watch user session recordings of how your users are really interacting with your product. Not only does this offer invaluable insights into how your users are actually using your app, but it also allows you to see which of your personalization efforts are having an impact as well as elements that may not need to be personalized. User happiness is a crucial yet problematic metric. What delights one user happy may not matter at all to another, and actually quantifying user happiness can be an immense challenge in and of itself. That said, it’s important to remember that, as UX practitioners, it’s our job to genuinely delight our users, not just meet their expectations or deliver the bare minimum — even if wildly popular, industry standard apps do just that. Originally published at blog.nomnominsights.com on November 27, 2018.